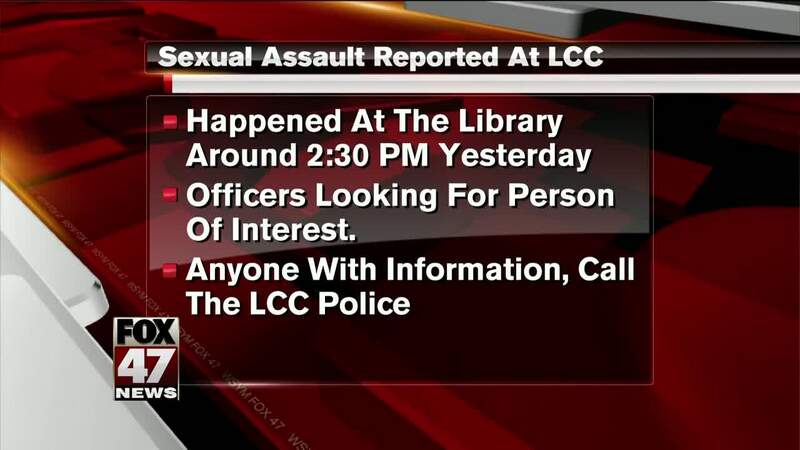 Police are investigating a reported sexual assault on the Lansing Community College campus. 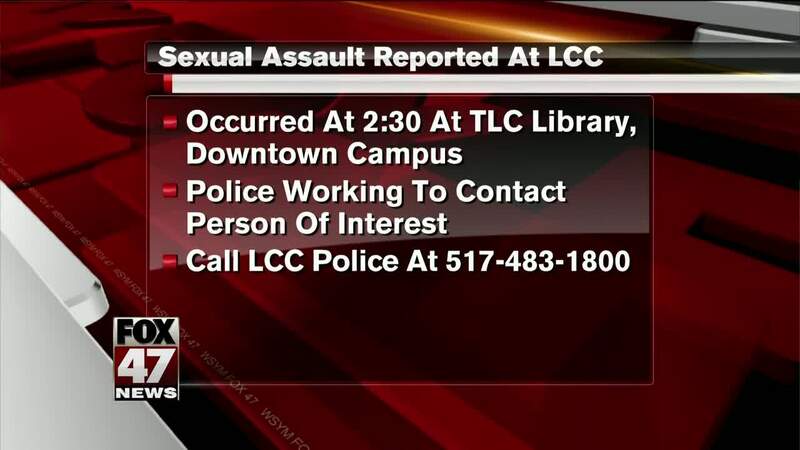 LCC Police sent out an email and text alert saying the alleged assault happened around 2:30 p.m. Tuesday at the TLC Library, at the downtown campus. A spokeswoman tells us officers are working to make contact with a person of interest. Anyone with more information is asked to call LCC Police.